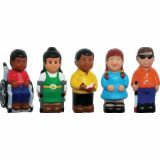 Help kids learn to respect and value all people, regardless of differences in their interests, abilities, and appearances. 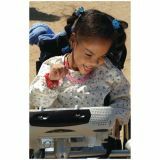 This bulletin board set features close-up photography of kids with special needs. Includes eight 11" x 17" posters. 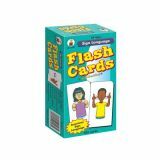 5" x 2" x 1.5", children are approx. 5" tall. For ages 18m+. 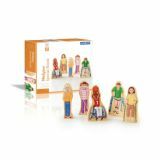 Wedgies, Guidecraft's classic wooden toy, balances both dramatic play and block play with colorful, charismatic characters. Five active children with special needs promote positive awareness. Solid wood, wedged-shaped characters feature double-sided artwork with intricate details and personality, and wide, no-topple bases. 4.5″H figures. It's important to learn about each other's differences. How are our lives similar? How are they different? 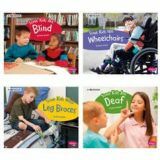 Using easy-to-understand language and full-page photos, readers learn more about people who are blind, deaf, use wheelchairs, or have leg braces. Plus each title contains a 4D video for more information.